The Ultimate Deal: One State or Two? Israel’s dangerous drift to chauvinism may make a solution ever harder to find. Israel cannot at the same time have all of the “Land of Israel,” a predominantly Jewish state and full democracy. Most Israelis (and many Palestinians) cannot conceive of a one-state model with equal rights for all Arabs and Jews. In reality, a one-state model means that some or all of the Palestinians would be disenfranchised. So, in the end, two states still looks like the least bad option to most Israelis and Palestinians. IN A COUNTRY of larger-than-life leaders—founding fathers, warriors and peacemakers — it is easy to forget how long Binyamin Netanyahu has been around for. Having served as prime minister for 11 years—three years in the 1990s and eight years in his current stint — he is Israel’s second-longest holder of that office after David Ben-Gurion. He is on first-name terms with the world’s leaders. But what has he achieved? On the big questions of war and peace, not much. He has won no big battles and secured no big peace agreements. Instead he has managed the conflict and avoided big disasters, which is no small feat. He has waged two wars against Hamas in Gaza, fending off calls for a full reinvasion. In the West Bank, the Palestinian Authority co-operates on security. Hizbullah, the Lebanese Shia militia, is too busy in Syria to risk a second front with Israel, and its paymaster, Iran, is some years away from being able to make a nuclear bomb. There is no end in sight to the occupation. Arij, a student, picks her way past the fetid rubbish by the wall as she returns to East Jerusalem from Birzeit University, a commute of two-and-a-half hours each way. She does not speak Hebrew, so could not go to an Israeli university. “I don’t know any Jews. I am not ready to make friends with them,” she says. Most Israelis are not interested either. The Arabic that they are usually taught is a pidgin designed for places like Kalandia, with phrases in the imperative: “Jib al-hawiya” (give me your ID). ISRAEL, THE PALESTINIAN AUTHORITY and Hamas may be bitter rivals, but they all agree on one thing: the Erez border crossing between Gaza and Israel, for the lucky few allowed to use it, is a prime opportunity to recruit spies. At the Israeli terminal a poster showing a handshake offers the “Chance of Your Lifetime” to Palestinians willing to provide information on militants. Beyond a buffer zone, at the PA and Hamas posts, murals warn Palestinians against betraying the homeland. Erez marks one of the world’s strangest frontiers, separating the lush fields of Israeli kibbutzim from the free-fire zones, rubble and chaos of Gaza — a territory that is neither a state, nor an autonomous domain of the PA, nor even a fully occupied territory after Israel pulled out in 2005. Instead it is a large detention camp, guarded from without by Israeli forces (and by Egyptian troops), and from within by Hamas, the strongest of the armed gangs, which pushed out the PA in 2007. The PA’s border post provides a convenient buffer between Israel and Hamas. The façade of the Israeli terminal masks a surreal automated facility. No Israeli is in sight as Palestinians emerging from Gaza make their way through remote-controlled gates and scanners. Commands are barked through distorted tannoys, or made with obscure hand signals from behind the blast-proof window of a control room high above. This letter comes from a Seattle resident who greatly respects and appreciates your work as a United States senator for Washington. I am a retired Episcopal Bishop, a lifelong Democrat and progressive. I especially salute you and your colleagues in the Washington State delegation for your steadfast alertness to the sometimes threatening proposals from the Trump administration and the Republican majority. There is, however, one matter that seems to me to be outside of progressive and fair-minded legislation. I am referring to the present move to constrain the use of boycott, divestment, and sanction (BDS). From my perspective, and I would urge you to join me, BDS is a nonviolent, peaceful means for people to support the oppressed and take a stand against violations of international law when they are occurring and our government does not act. In this case, I am referring to the Palestinian people who have been under military occupation for more than 60 years while we have consistently supported the State of Israel by financial contributions and vetoes in the United Nations. The pattern is clearly that of apartheid as it was practiced by South Africa during the long night of oppression there. I urge and encourage you to not support legislation that seeks to limit or suppress BDS. It is a fundamental right of the people of this country to petition their government through peaceful and nonviolent means including acts of protest. Dazzling high-tech firms divert attention from a serious productivity problem. Israel’s security barrier is, to a large extent, also a one-way protectionist barrier. The Palestinian market is fully exposed to Israeli goods, but Palestinian products struggle to get out. Strawberry farmers in Gaza, working less than a kilometer from the border fence, say they cannot export to Israel and only rarely to the West Bank. In the main, Palestinians are treated as a source of cheap, and disposable, labor. The centre has shown how wearable devices can be used to eavesdrop on corporate networks. It has also demonstrated the multitude of ways in which even supposedly ultra-secure computer systems not connected to the internet can be hacked. These include exploiting FM radio waves emitted by video cards, the blinking of LED lights or even the pattern of heat signatures. What is the basis of optimism In Israel about Donald Trump? For many, it seems to be his apparent endorsement of an “outside-in” peace process. The outside-in approach is merely the latest in a series of failed tactics aimed at creating new incentives to make peace, rather than pursuing strategies — withholding financial assistance, to begin with — that steer the parties away from the status quo. Trump frightens Israeli leaders precisely because he is one of the only American politicians they could imagine even considering the latter approach. Not so long ago, President Donald Trump had backers of the Israeli-Palestinian peace process worried and Israeli settlers and annexationists elated. Many were convinced that a change in U.S. policy toward Israel was imminent, not least because the President’s three main advisers on Israel were modern Orthodox Jews with ties to West Bank settlements. Mr. Trump’s chief negotiator, Jason Greenblatt, is a former West Bank yeshiva student. The new U.S. Ambassador to Israel, David Friedman, until recently headed a settler fund-raising group. And the family of Jared Kushner, Trump’s son-in-law, has donated to the institutions of a settlement northeast of Ramallah. Today, however, Palestinians leaders are roundly praising Trump — not just Mahmoud Abbas, the head of the Palestinian Authority, but also Khaled Meshal, the former leader of Hamas. In Trump, they see the rare possibility of an American President who appears capable of challenging the decades-long bipartisan consensus to underwrite Israel’s occupation while making empty promises to end it. The fact that Mr. Trump is a Republican and surrounds himself with lifelong Zionists makes him seem even better positioned to twist Israel’s arm. Palestinians took note when, during the Republican primaries, Trump vowed to be a neutral mediator, refused to blame only one side for the Israeli-Palestinian conflict, and declined to back down when attacked, even though he had many electoral and financial incentives to do otherwise. Religious soldiers are replacing kibbutzniks. Does it matter? Is the IDF the most moral army in the world, as many claim? There must be doubts. Breaking the Silence, a group of reservists who bear witness to what they have seen and had to do while in uniform, tell many disturbing stories, from the petty humiliation of Palestinians to actions that might count as war crimes. ARMY INDUCTION DAY feels like a graduation party. Family and friends gather. The kids leave home to become the defenders of the Jewish state. The gun is passed from father to son. On the day the paratroopers are being signed up at Bakum, the main recruitment centre of the Israel Defence Forces (IDF), young men dance in a circle to the beat of a drum, singing “Don’t be afraid, Israel.” All in the cheerful band wear the knitted skullcaps of the national-religious movement, having studied at a religious military academy in the settlement of Eli. Religious Zionists have largely taken over the ideological fire of the secular kibbutz movement, which built socialist collective farms in the early years of the state. Now it is the boys from the yeshivas (Jewish seminaries) who seek to settle the land and become army officers. If the army is a microcosm of Israeli society, then its top units may be the harbingers of Israel’s future elite. The paratroopers form a sort of military aristocracy. Eight of the 15 IDF chiefs of staff since 1967 have worn the red beret and boots, and several became prominent politicians. New bill in Congress aims to thwart international measures to hold Israel accountable for settlements built on occupied Palestinian land. With BDS continuing to gain momentum, Cardin went back to the drawing board and introduced the Israel Anti-Boycott Act (S.720, H.R.1697) on 23 March, designed to coincide with the annual policy conference of the American Israel Public Affairs Committee. The powerful Israel lobby group duly made the bill one of its top legislative priorities. Israel’s politicians promote religion and intolerance. THE SIGN AT the entrance is clear: “According to Torah Law entering the Temple Mount area is strictly forbidden due to the holiness of the site.” Rabbinical tradition holds that Jews may not set foot on any part of the esplanade atop Jerusalem’s holiest site. Once the location of the Jewish temple, which was destroyed by the Romans in 70AD, the area has for centuries been a Muslim compound comprising the al-Aqsa Mosque and the golden Dome of the Rock. 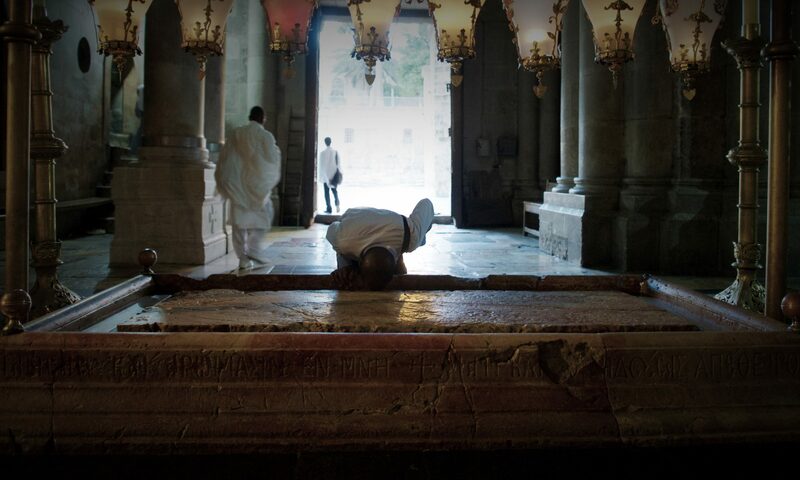 Because the location of the Holy of Holies (the inner sanctum of the former temple) is unknown, say the rabbis, ritually impure Jews might accidentally enter and defile it. These days Jews mostly pray outside, at the base of the retaining wall, known as the Western Wall, or Kotel. Nonetheless, Jewish zealots venture into the al-Aqsa compound almost every day, ostensibly as tourists. The police let them jump the queue of foreigners and form a protective cordon as they perambulate the Dome of the Rock, amid curses from Muslim worshippers. Sometimes they stand silently, gazing at it longingly. They are filmed by the police, who are supposed to ensure that they do not attempt to pray. One trick is to address God while pretending to speak on a mobile phone. Recent report condemns normalization of the occupation and its injustice. The Catholic Church will speak out against injustice and avoid any attempt to normalize the “festering wound” of the Israeli-Palestinian situation, a commission from the region’s leading Catholic bishops has said. “The Church, given the nature of her mission, has her own values and criteria to define her position in a situation of conflict, like the one in Israel-Palestine. No single brand of political discourse, no particular party position nor any particular ideological option binds the Church,” the Justice and Peace Commission of the Assembly of Catholic Ordinaries of the Holy Land said May 14. The commission is headed by Latin Patriarch Emeritus Michel Sabbah. “However, at the same time, the Church cannot ignore fundamental injustice or acts that endanger peace and the welfare of the human person,” the commission said.